How To Change Language In Google Chrome? (UPDATED STEP BY STEP GUIDE) – There is a huge number of languages in which Google Chrome can be worked with. Everyone and their mom knows that Hindi, Bengali, Tamil, Telugu, English, Punjabi, Kannada, Gujarati, Urdu, Sanskrit and Maithili are the most spoken Languages in India AND Chinese, Spanish, English, Hindi, Arabic, Portuguese, Bengali, Russian, Japanese and Punjabi/ Lahnda being the most spoken language in all over the world. And, the good news is – Google Chrome is offered in all of these languages. But the next and the most important question today is – How to Change Language in Google Chrome? Or, or If you’ve already changed to one, how to get back to the Original Language in Google Chrome. In the very simple answer, this Link is going to help you a lot. Apart from that link, you need not to worry, as we are going to provide below, each and every step in a detailed and understandable manner. Next, either if you want to change the language in Windows 7, XP, 8 or 10. Or, if you want to change the language from Arabic to English, Chinese to English, Russian to English, Korean to English, Dutch to English OR if stuck with the queries like – How To Change Language in Google Search? These below mentioned steps will help you out in almost all the cases. 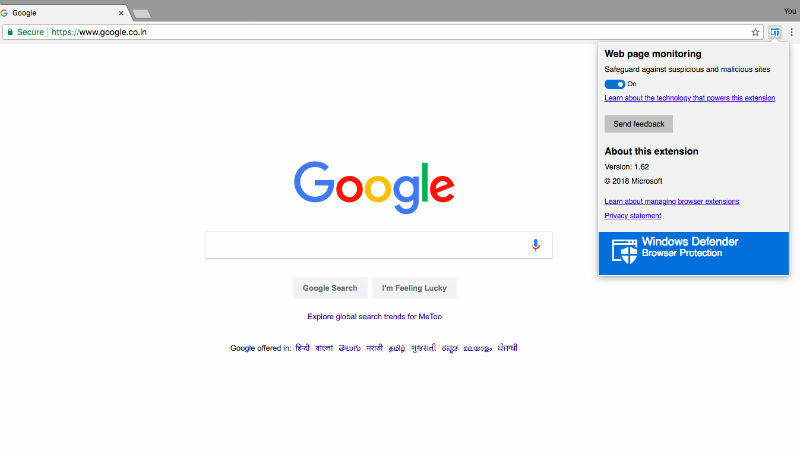 Step 1: Open the Google Chrome Application if in Mobile Phone and Software Web Browser if in Personal Computer or Laptop. Step 2: There are three vertical dots in the right-hand side in the upper corner of the web browser window, just click on it and the drop down menu will appear. Step 3: From that drop-down menu, make sure to select the Settings option and a new page will open up. Step 4: After that, make sure to click on the Advanced button on the Settings page. Reason? Because Language changing options are available in the Advanced button menu only. Step 5: Now, out of the given options that is – Privacy and Security, Downloads, Printing, Accessibility, System, Reset and Clean Up etc., please make sure to click on Language Button. Step 6: Once done, a new page will open up with Uniform Resource Locator – chrome://settings/languages. Over there, through Language, Spell Check option (the English United States by Default) a new option will open up. A drop-down menu will allow you to convert your language in whichever you want. Now, here, a very simple catch is that – The way in which you change the language from English to any X. In the same manner, as well, the language will have to be changed back from X to English. All the steps and all the remaining options will be the same thoroughly. But what if you mistakenly selected the Language which you have not seen/ read or listen to ever in life? Using common sense, there is a very simple hack to that – Just make sure to uninstall the Google Chrome and Reinstall it. Because, in such a situation, there are maximum possible chances that you will not be able to get the options in the right manner, thus completely and exhaustively stuck. 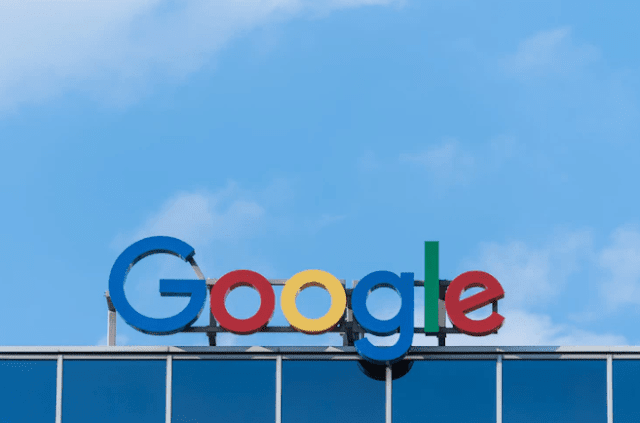 On regular basis, we keep posting the latest news and details on answering the most commonly asked questions like – How to Change the Default Home Address on Google Maps, What Do I Do if the articles method doesn’t work? etc. Thus, make sure to give us a daily visit. 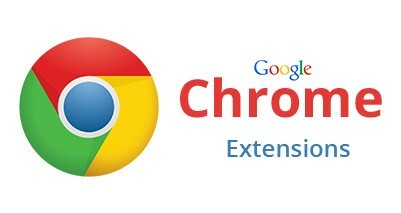 If you are having any comment regarding How To Change Language In Google Chrome? (UPDATED STEP BY STEP GUIDE), please make sure to let us know below using the comment box. 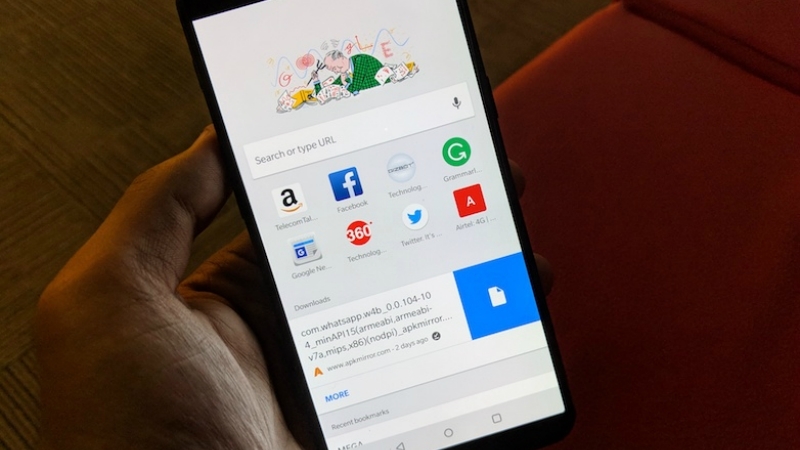 While Google is expected to showcase a new Material Design version at its I/O developer conference later this year, the latest Canary build of Chrome browser gives a glimpse of what's cooking up behind the scenes. The new developer build brings rounded UI elements that can be observed from the revamped address bar and tabs. It has also been spotted that instead of the "Material Design 2" that was expected originally, Google is building a "Material Design Refresh" this year that is likely to come with some significant upliftments over the existing Material Design version. The latest Chrome Canary for Windows (version 68) has a new interface that includes rounded tabs. These tabs look quite different from the ones that are presently available on the current public build of Chrome browser and have a sharp appearance. Also, some rounded treatment has been given to top buttons, including the back, forward, and refresh. There is additionally an upgraded address bar that is grey in colour, unlike the white-coloured address bar of the existing Chrome browser. In terms of minimal changes, the account avatar icon that you can see just next to the minimise button on the public Chrome version has been moved to the toolbar - next to the address bar - in the latest Canary version. Google has also added a floating effect that can be noticed in the Omnibar dropdown. You need to switch to the 'Refresh' option by visiting flag "chrome://flags/#top-chrome-md" after installing the latest Chrome Canary version on your system to observe the changes. 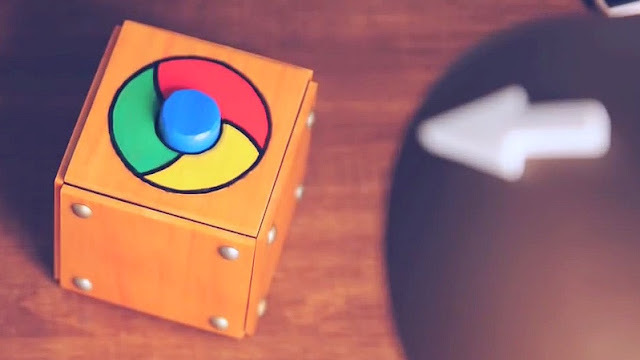 It is unclear by when Google will bring these tweaks to the public Chrome release. Meanwhile, folks at 9to5Google have spotted an updated Material Design document that includes references to a "Material Design Refresh". The document also highlights the new Toolbar iconography. Moreover, instances of the refreshed Material Design with rounded icons were previously visible through a recent redesigned Gmail leak. Content is muted or does not feature audio You have previously tapped or clicked on the site during the browsing session. On mobile – whether you have has added the site to a home screen. 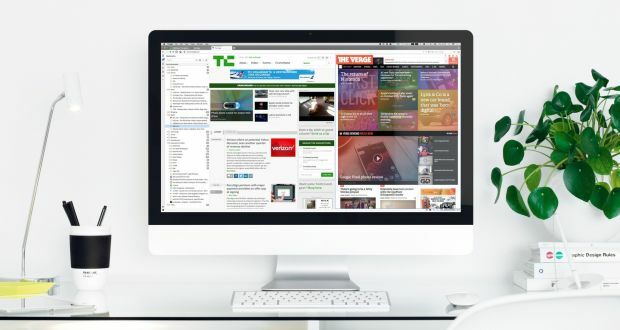 On the desktop – if you have frequently played media on the site. The autoplay content, however, still plays but without the sound according to Techpp. 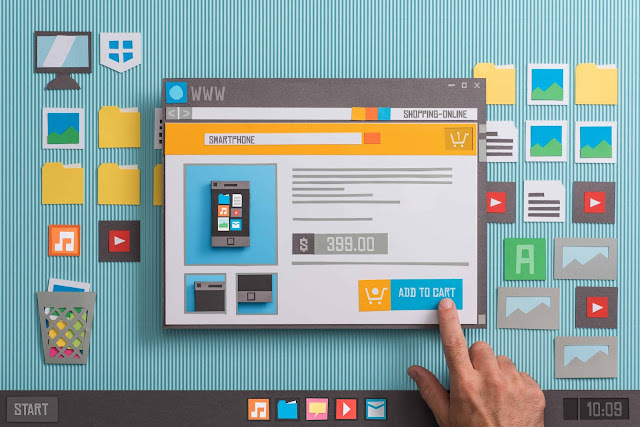 The functionality is also not consistent across all websites, as the Chrome was unsuccessful to stop autoplay ads on YouTube and other sites. Password Export The Chrome 66 also brings in a new ‘Export Password’ feature. In “Manage Passwords” option, there is a new overflow icon just below the list of stored passcodes that reveals the “Export Passwords” option. You can directly go to Settings > Advanced > Passwords and forms > Manage passwords > Saved Passwords menu. A prompt then appears asking users to confirm the download with their PC and also asks for them to enter their system credentials to proceed as the saved .csv file is in clear text. Security Features As for security feature, the Chrome 66 removes trust for Symantec certificates issued before 1 June 2016 following the company’s failure to follow industry security standards. Announced last September, now warnings will appear when visiting sites that have not transitioned to the new DigiCert Certificate Authority.? ?Furthermore, this version contains another mitigation technique for the Spectre CPU vulnerability. Google announced that it would conduct a small percentage trial with Chrome 66 for a feature dubbed “Site Isolation”. By enabling Site Isolation, pages from different websites run in different processes with each process blocked from receiving certain types of sensitive data from other sites. 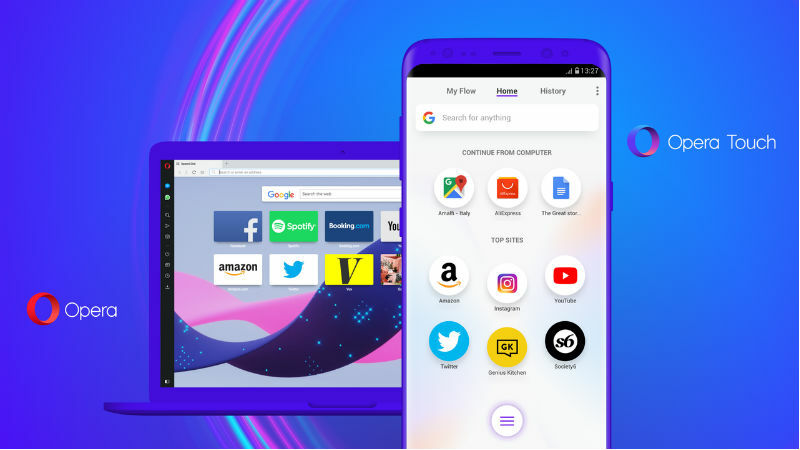 Mozilla on Tuesday announced the rollout of Firefox Quantum version 59 for users on desktop and Android. With the new update, the Firefox browser on desktop will get improved privacy in its Private Browsing mode, faster page load times on webpages, new tools for annotating and cropping Firefox screenshots, and better arrangement for top sites on the browser's Home Page. Firefox for Android gets support for websites that stream videos using the HLS protocol. And, lastly, Firefox Quantum for Enterprise will be available in Beta starting Wednesday, March 14. Firefox 59 updates for desktop Firefox 59 adds several performance enhancements to the browser's desktop version. These include faster load times for content which the browser will achieve by loading it from networked cache or cache obtained directly from the user's hard drive. Off-Main-Thread Painting (OMTP) is also being introduced for Mac to offer better graphic rendering. 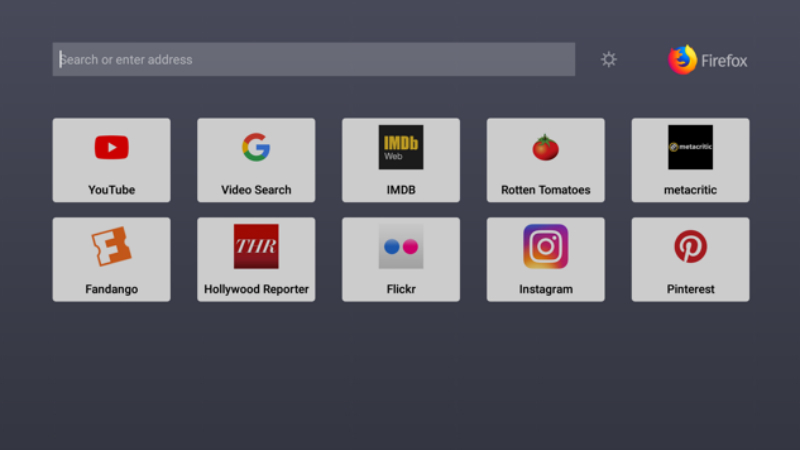 Firefox 59 updates for Android On the Android app, Firefox 59 adds support for the Firefox as an assist app allowing users to start searching by pressing the home button on their smartphones. The app now also supports HLS or HTTP Live Streaming video playback and gets the same Firefox Private Browsing upgrades as the ones mentioned for desktop. Users can also lock video full screen while in landscape mode. Firefox Quantum for Enterprise A new beta version of Firefox Quantum will be available for enterprise users starting March 14. The version comes with certain administrative controls that will allow IT users to deploy pre-configured installation tools on Firefox for platforms including Windows, Mac, and Linux. 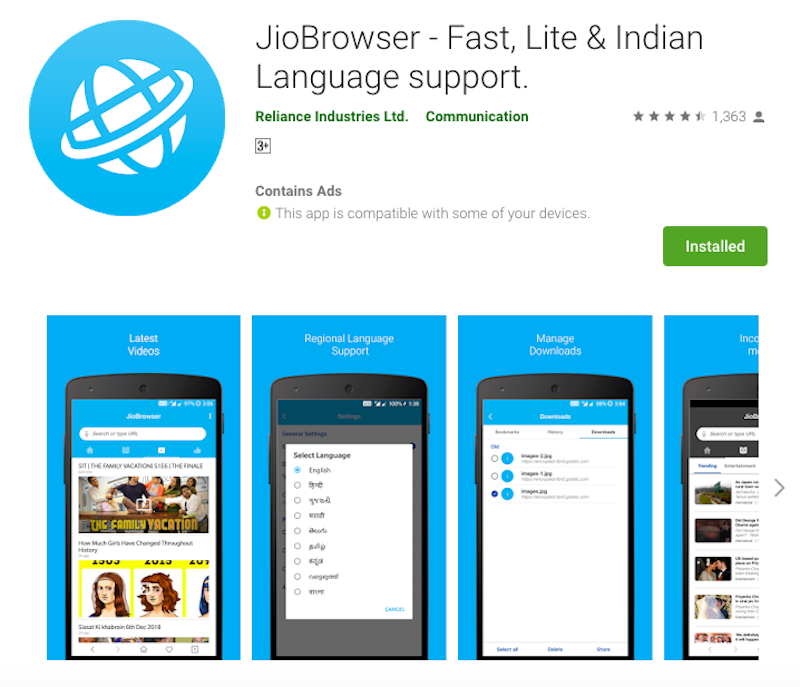 Alibaba-owned UCWeb has pushed an update to its UC Browser, the mobile browser that's really popular in India. 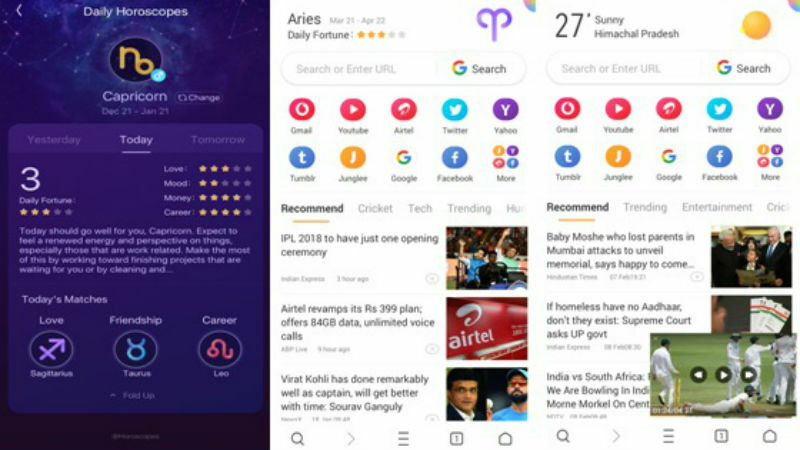 UC Browser version 12.0 - already available for download via Google Play - comes with new features and optimisations with a big focus on videos. UC Browser now claims to save up to 50 percent data when viewing videos, as compared to the previous version, with the aim of offering a "no buffering" video experience. Users of the latest version of the browser on Android can tap on play and watch video while it is downloading in the background. - UC Browser 12.0 tackles CPU Exploits - UC Browser 12.0 addresses concerns regarding the recently-disclosed CPU exploits. The new version contains mitigations against Spectre, recently-discovered vulnerability that is affecting a number of processors around the world UC Browser says it registered 60 percent growth in video views from Q2 2017 to Q4 2017 in India. In the new feature, the company promises that "users can save over 50 percent internet data while watching videos, which can play without buffering and can be watched while it is downloading." The browser now claims over 130 million monthly active users in India. UC Browser says the latest update's 'Be Smart' feature uses big data technology to provide users with personalised recommendations and content. This means users will get suggested content based on their preferences and usage. Apart from the recommendations tab, the newsfeed now gets various categories on the homepage. Additionally, users also get customised cards for horoscope and weather. Notably, the new UC Browser 12.0.0.1088 update is currently available to download from Google Play. The Vivaldi web browser has a lot in common, lookswise, with the slightly blocky and drab utilitarian aesthetic of Opera, which makes sense because it was created by ex-Opera folk. But it would be a shame to judge this little-known browser by looks alone because it has some unique features that might convince power users of the web to switch over from Chrome or Firefox. Vivaldi’s “stack” function allows you to drag and drop a tab on to one or more tabs, thus creating a stack that sits neatly folded up until you hover over, revealing a preview. Stacks can be named and saved if this is a group of websites you tend to visit regularly. This will keep you from tab overload but it has another cool trick: the “tile” option splits the stack into a multi-page view where webpages can be viewed side by side. The bigger your monitor, the more you’ll appreciate not needing to constantly switch between tabs.